Two mini reviews: a breast cancer prevention book and The Young Skin Diet. I have had the pleasure of meeting both of these authors and wanted to share their books with you this month. 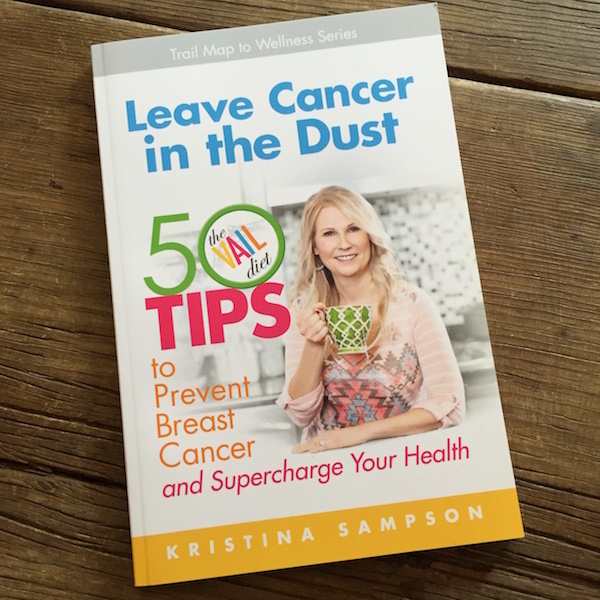 Kristina Sampson is the creator of The Vail Diet and this book: Leave Cancer in the Dust: 50 Tips to Prevent Breast Cancer and Supercharge Your Health . I met Kristina at The Nutrition and Health conference in Denver and she was a blast to hang out with. Her book is organized into 50 quick and well-researched tips in these sections: nourish your body, shake your booty, heed your habitat, find your bliss, bonus detox tips. It would be a lovely and upbeat gift for anyone dealing with breast or other cancer. I met Michelle and her husband at the Gluten-Free and Allergy-Free Expo last year and reviewed her book Living Luxe Gluten-Free. 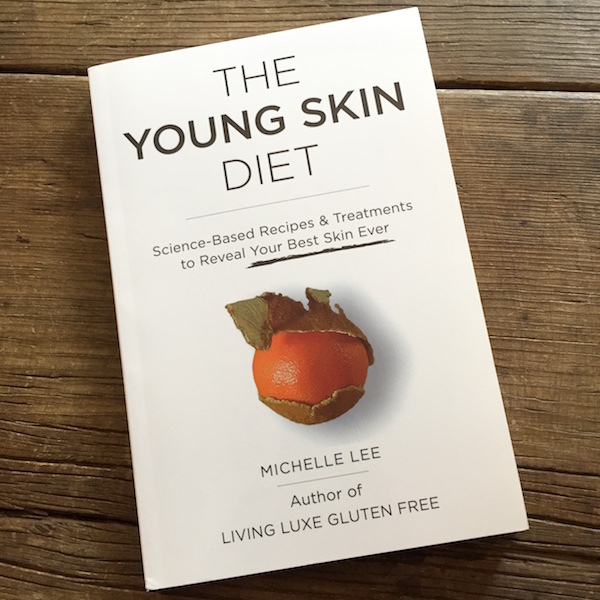 She sent me her latest book: The Young Skin Diet: Science-Based Recipes & Treatments to Reveal Your Best Skin Ever . Michelle’s book is organized into these chapters: The Young Skin Diet, 4-week calendar, Build your own breakfast guide, Build your own combo guide, and recipes. Recipes include morning beverages, breakfast dishes, mid-morning snacks, lunches, afternoon snacks, dinners, desserts, and skin treatments. All the recommendations in the book are based on her extensive literature review of peer-reviewed research. Required FTC disclosure: I received one copy of each book from the authors for the giveaway on June 30, 2016. Hi Stephanie! There are no magic foods. Some foods may help you suppress your appetite a little. Some other foods may slightly increase your metabolic rate. Unfortunately, the effect is miniscule. The only way to really lose fat is to consume fewer calories than you burn. This way your body will tap into the fat stores to get the energy it needs.